Dammit, Why Can't This Louis Vuitton Waffle Maker Just Be a Real Product? It's about time for appliance and electronics makers to start keeping a small staff of artists on hand—because there are just too many fantastic products being created by artsy types that will never see the light of day. 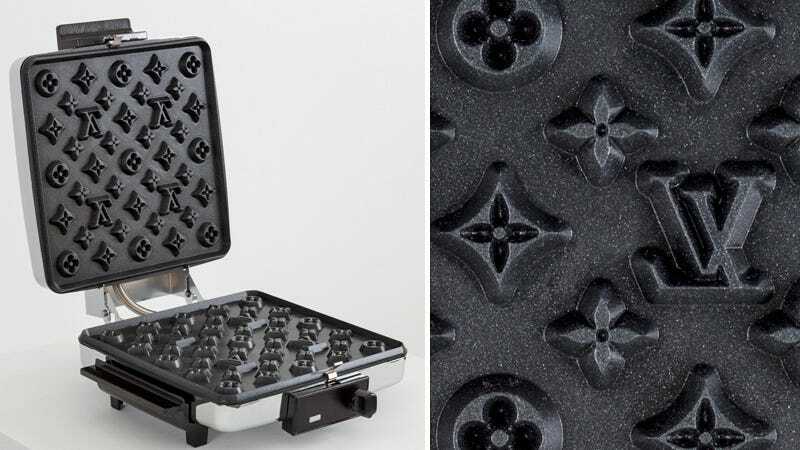 Case in point: this fantastic custom waffle maker that leaves your breakfast imprinted with the famous Louis Vuitton pattern.